My Son Sam aired on Australian Story on the ABC, 24 July and features a young student from De La Salle Ashfield. Read the following transcript and watch the remarkable story of a young boy and his devoted father. 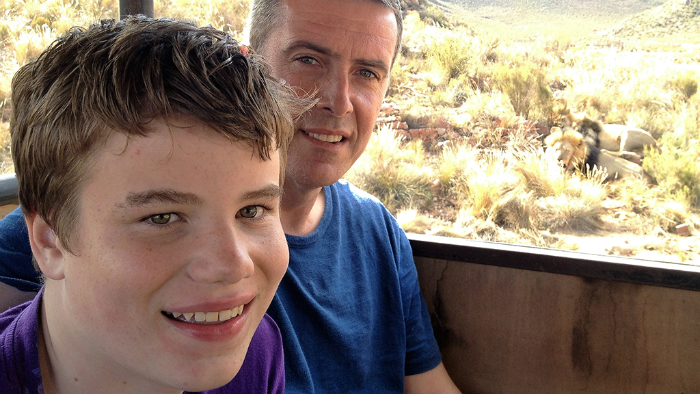 Sydney GP Dr James Best was prepared to throw out the rulebook on autism as his son Sam entered adolescence. Rather than keeping him to routines and "wrapping him in cotton wool", he wanted to expose the 14-year-old to uncertainty and unpredictability. So Dr Best decided to take a year off work, sell the family house and take his son on a backpacking trip across Africa. It was based on the idea that adolescence represents a particular opportunity for learning, similar to the period during infancy when the brain is highly receptive to change. Although the plan left the parents of some autistic children aghast, it has been hailed as "ground breaking" by researcher Dr David Trembath of Griffith University.